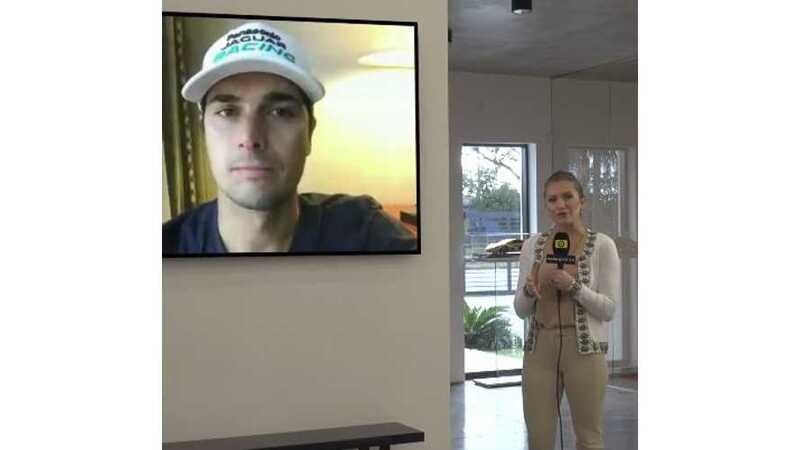 Nelson Piquet Jr. Interview On This Weekend's Chile Formula E Race - Video product 2018-02-02 16:54:54 https://insideevs.com/news/336377/nelson-piquet-jr-interview-on-this-weekends-chile-formula-e-race-video/ Motorsport, Nelson Piquet Jr. Round 4 of this year's Formula E racing series kicks off tomorrow in Chile. Ahead of the race, we chat with Formula E driver Nelson Piquet Jr.
Motorsport Network's Julia Piquet talks to Formula E driver Nelson Piquet Jr ahead of the series' maiden race in Chile. Formula E makes its debut on the streets of Chile's capital for the 2018 Antofagasta Minerals Santiago E-Prix. Stretching 1.53miles (subject to FIA Homologation) through the city centre, drivers will line up on the grid along Avenue Santa Maria before crossing the river Mapocho. Once across, they'll navigate their way around Plazza Baquedano before cutting through Forestal Park to return to the start/finish line.